I love to take my time in the morning on a Sunday. 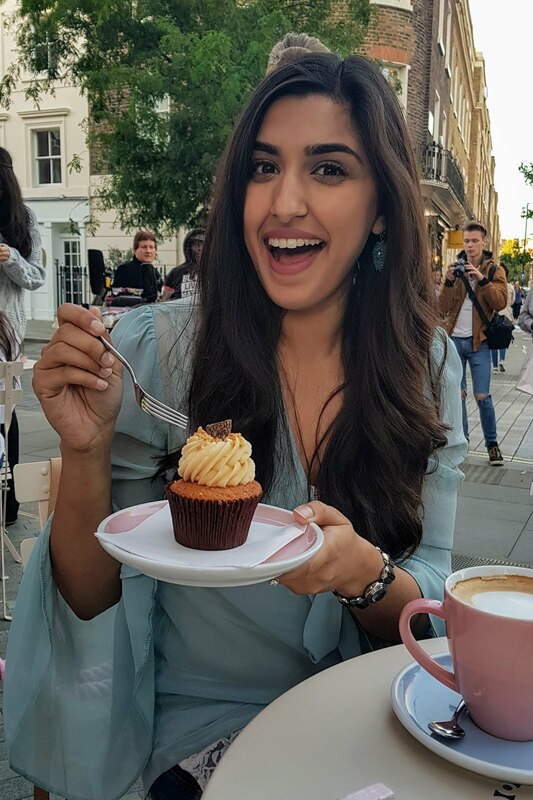 It’s the only day when there is no rush to get out the shower, no rush to get dressed, no need for make-up, no need for tidy hair and no need for the gym! I always love to “live it up” on my Sundays with a great brunch. 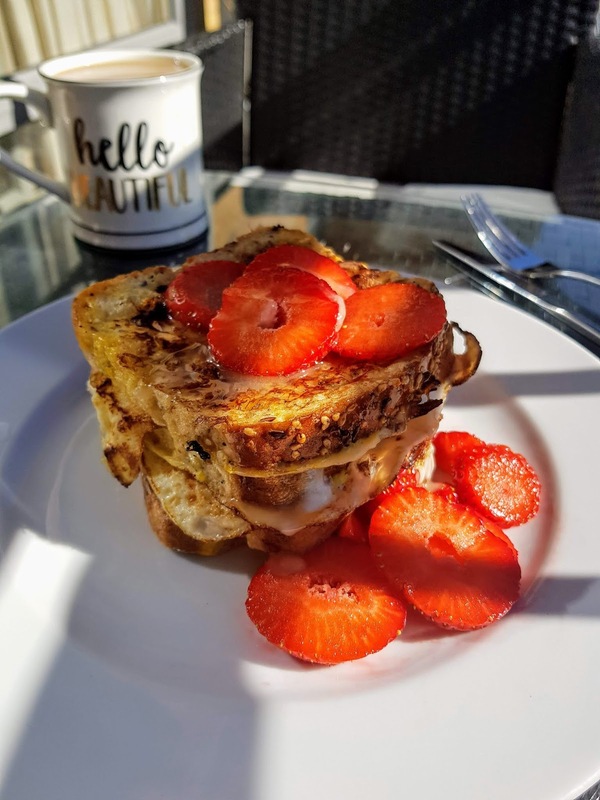 The sun was out this weekend so I took the opportunity to get out onto my balcony and enjoy French toast in the sun. 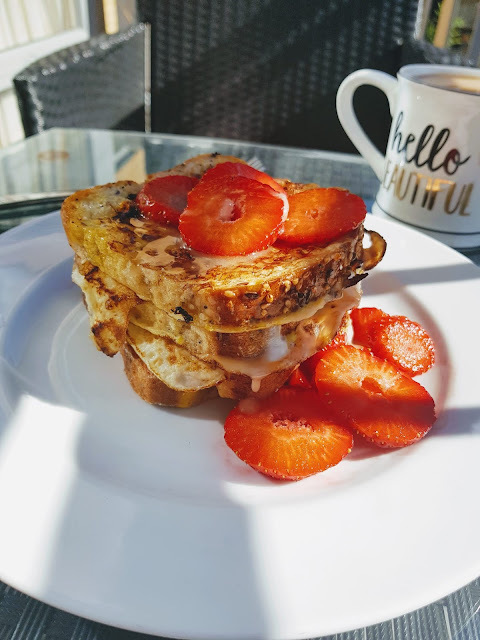 So here is my quick French toast recipe in the hope that you all join in on relaxed Sunday mornings with me. 1. Heat a nonstick pan with a teaspoon of butter. 2. Whisk up the eggs, sugar, milk, vanilla and cinnamon in a bowl. 3. Soak your toast in the mixture on both sides and place it in the pan on high heat. Let the toast brown before flipping it over onto the other side. 4. Serve the French toast with fruit and honey or you can add a sprinkle of sugar on top. I've done mine with strawberries and honey but French toast is equally good with blueberries and raspberries. 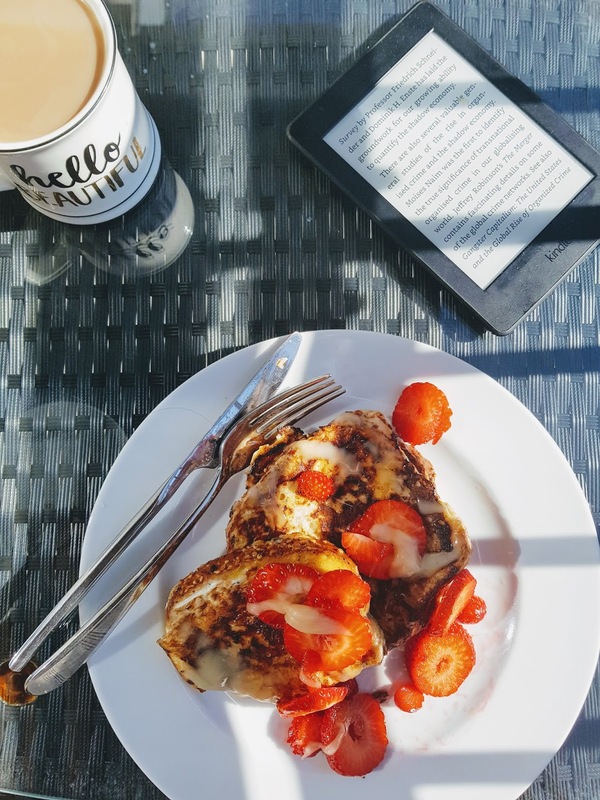 Sugar can be adjusted to taste, if you don’t want to have a sugary breakfast then you can add as little as one teaspoon or you can leave it out altogether and stick to a drizzle of honey on top.